Cache provides a unique opportunity for young and emerging composers in Canada to rapidly gain important international exposure in a variety of contexts. Promotional distribution of Cache by the CEC results in numerous international radio broadcasts (with simultaneous webcasts), concert play (also with webcast) and exposure to a select group of individuals and institutions involved in the support and promotion of electroacoustics on an international level. There are few examples — on a national or international level — of such a degree and quality of sustained and dedicated support as the CEC offers to young and emerging composers through the Cache CD series. 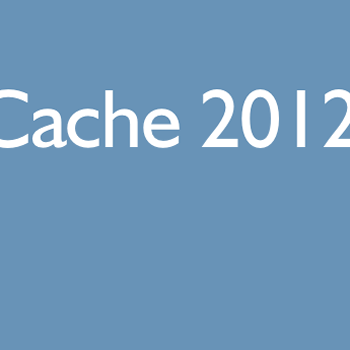 Cache is available for sale at DIFFUSION i MéDIA. Thanks to the PeP team, the SOCAN Foundation and to DIFFUSION i MéDIA for continued project support. Merci à l’équipe de PeP, à la Fondation SOCAN et à DIFFUSION i MéDIA pour leur contribution et support. eContact! 14.1 — Jeu de temps / Times Play 2012 (September 2012). Montréal: Communauté électroacoustique canadienne / Canadian Electroacoustic Community.